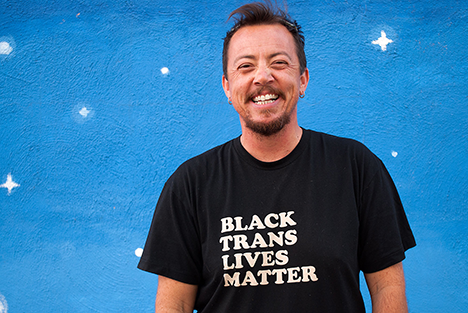 TC Tolbert often identifies as a trans and genderqueer feminist, collaborator, dancer, and poet but really s/hes just a human in love with humans doing human things. The author of Gephyromania and three chapbooks, Tolbert is also co-editor (along with Trace Peterson) of Troubling the Line: Trans and Genderqueer Poetry and Poetics. S/he is currently studying to be an EMT and spends his summers leading wilderness trips for Outward Bound. Tolbert was recently named Tucsons Poet Laureate.